Cameras Downunder Gallery - Novelty/Canon clock. 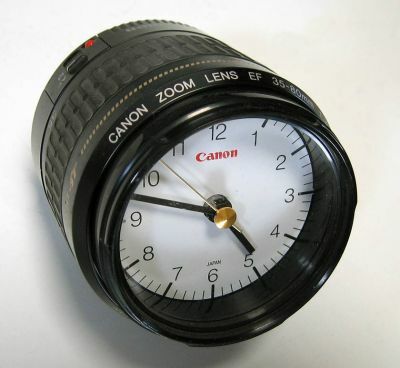 Canon Zoom EF 35-80mm Lens clock. Promotional Item.